Caramel is a guest favorite due to his fun-loving nature and smooth gait. 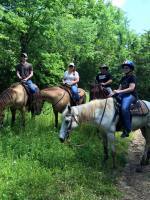 We are a family-owned and operated horse boarding and hotel, trail riding and camping facility. We take great pride in how we care for our horses and the experiences we create while out on the Hillsdale Lake trails. Come explore the horse trails at Hillsdale Lake. 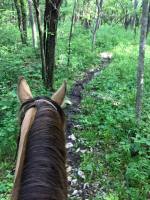 Enjoy nature from the back of an experienced trail broke horse. Let our trained guides show you the beauty of the trails as we wind through the woods, cross small babbling creeks and climb scenic hills. We offer 52 miles of trails on site. 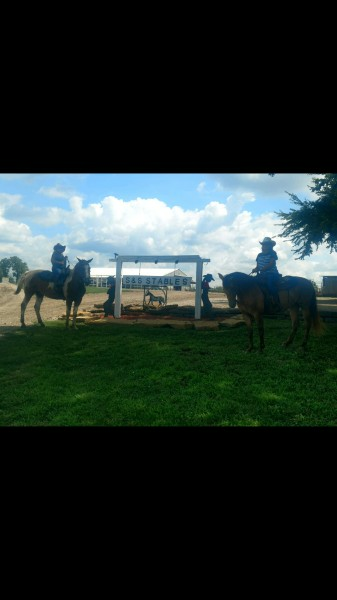 All our horses are smooth riding, sure footed and gentle Missouri Fox Trotting horses. Best of America by Horseback! 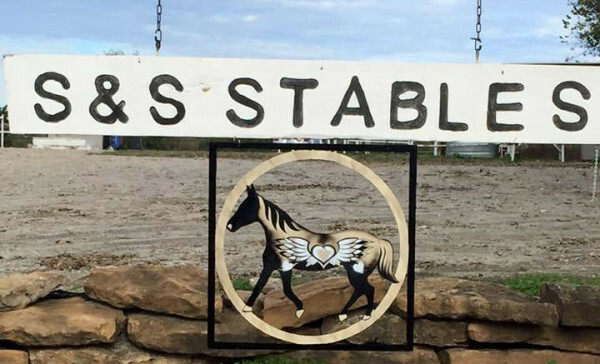 Enjoy this wonderful segment featuring S&S Stables.